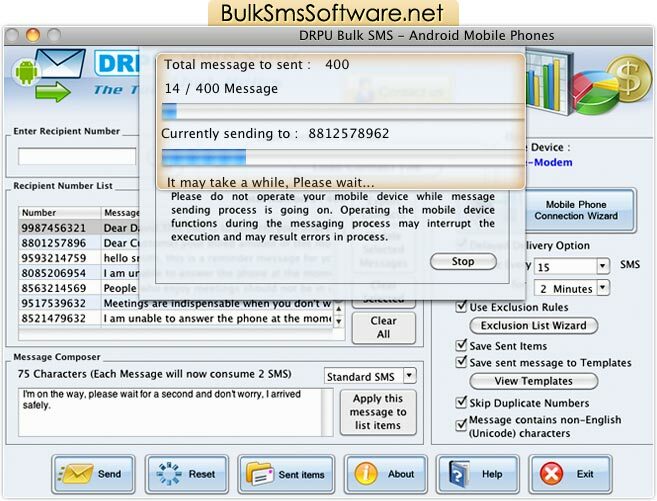 Home >> Mac Bulk SMS Software for Android Phones >> How to send group SMS from Android mobile phones on Mac ? How to send group SMS from Android mobile phones on Mac? 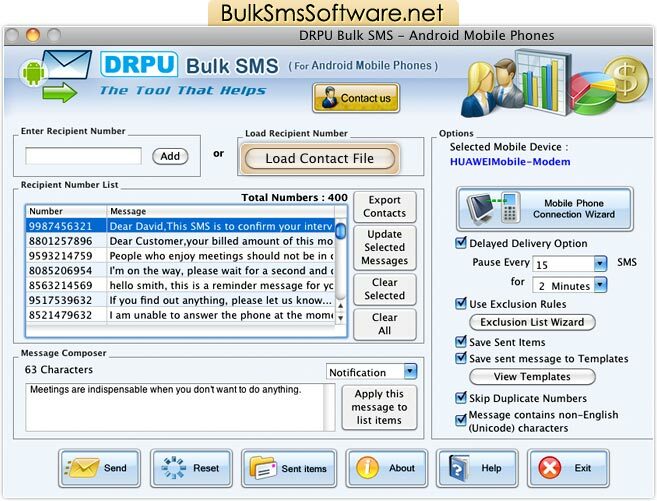 Start sending bulk SMS by connecting Android phone with Mac OS X based PC. Learn more about connection process. Enter recipient number of contact person to whom you want to send sms. Click on ‘Load Contact File’ to load contact number from saved file. After loading contact numbers from file, recipient numbers will display on the Number and Message List Window. ➮ Note: You can also select various other feature of our software to apply on message sending process such as Delayed Delivery Options, Save Sent Items, Exclusion Rules etc.